Illustration is an integral part of graphic designing. 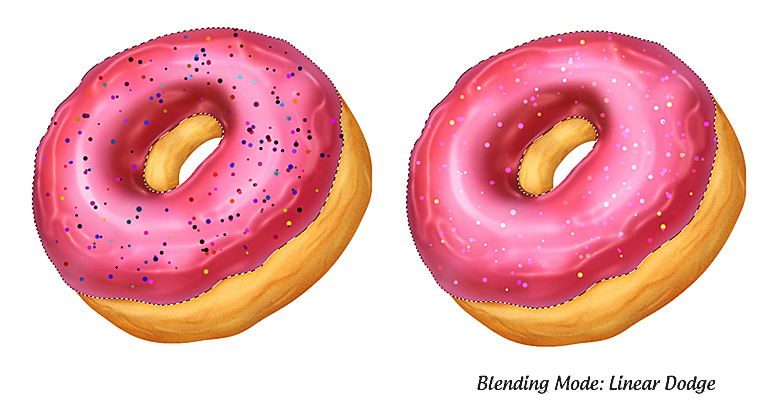 Stylized illustrations can have larger-than-life appeal that goes well beyond what a realistic photograph can provide, especially when it comes to food. An illustration of an indulgent edible treat can garner an incredible amount of attention and elicit visceral responses in viewers. 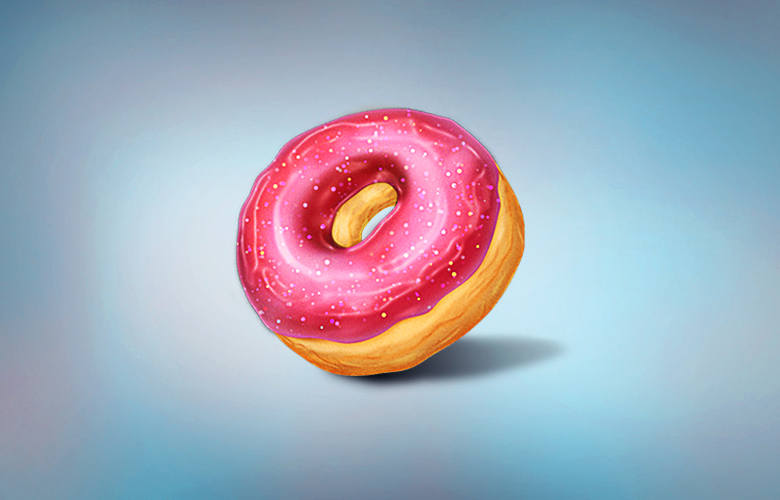 In this tutorial, I’ll walk you through the process of making a tasty donut in Photoshop. We’ll use the pen tool, the brush tool, the burn tool, the dodge tool, the smudge tool, and various filters and layer styling techniques to achieve the final outcome. Hopefully you will learn some useful tips work up an appetite at the same time. So, let’s get started! 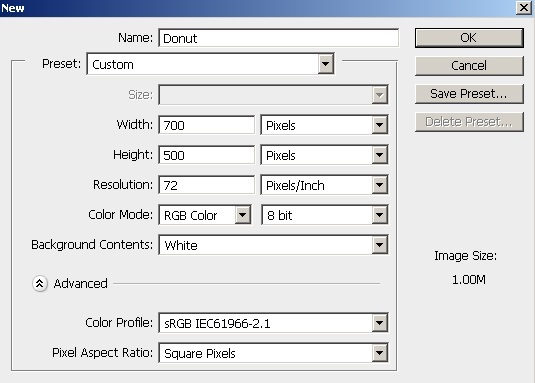 Create a new document in Photoshop with a 700px width and a 500px height. 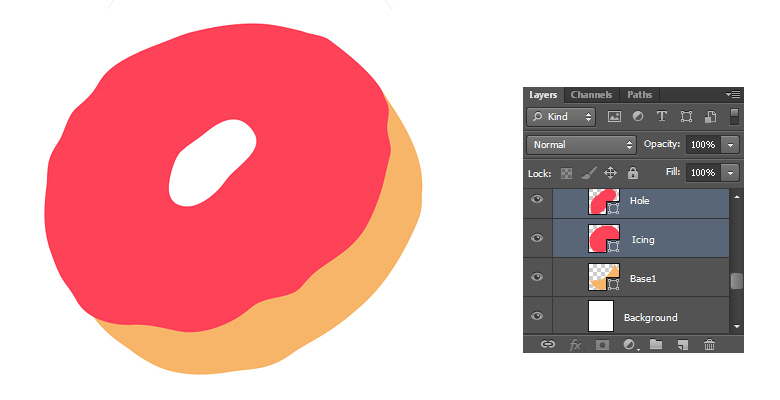 First of all, we’ll draw the basic shapes of the donut. Pick #f7b569 as your foreground color and select the pen tool (Tool mode: “Shape”) to draw the shape shown below. Label it as “Base1”. Now, pick color #fe4258 and draw the shape to make the icing. 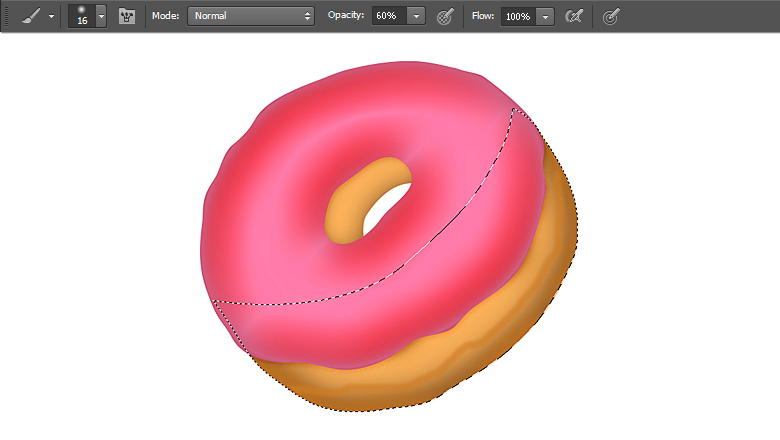 The icing on the donut is never perfect, so try to make it a bit irregular. Label it as “Icing”. Draw another shape covering the center of icing as shown below. Label it as “Hole”. 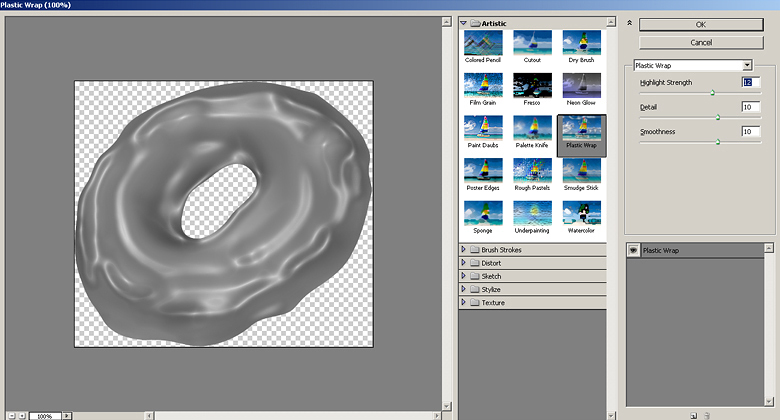 Select both the hole and icing layers by pressing “Shift” key. 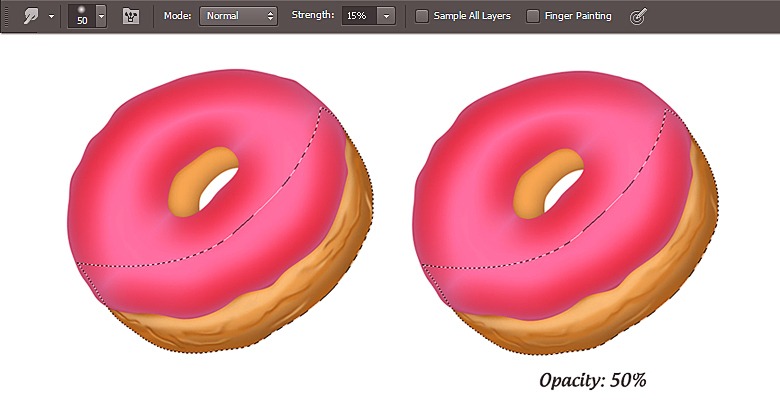 Then, go to “Layer” > “Combine Shapes” > “Subtract Front Shape”. 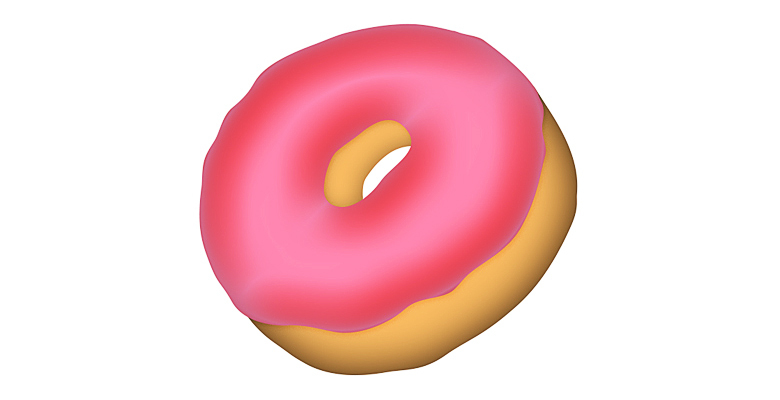 Label the resulting shape as “Icing”. 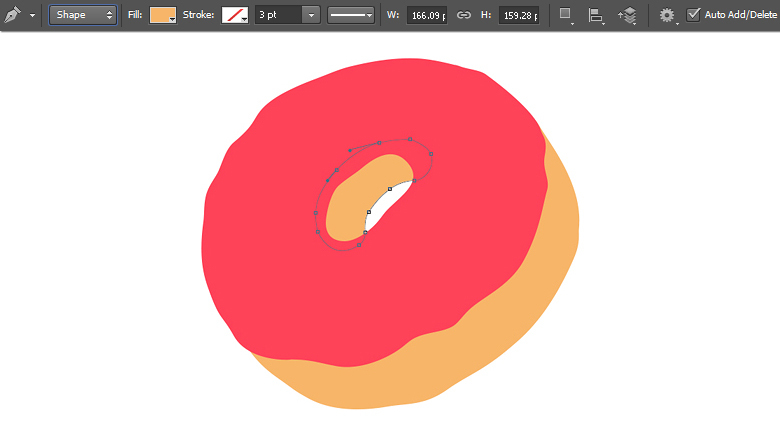 Once again, pick #f7b569 as your color and draw a shape below the icing layer using the pen tool (Tool mode: Shape). Label it as “Base2”. 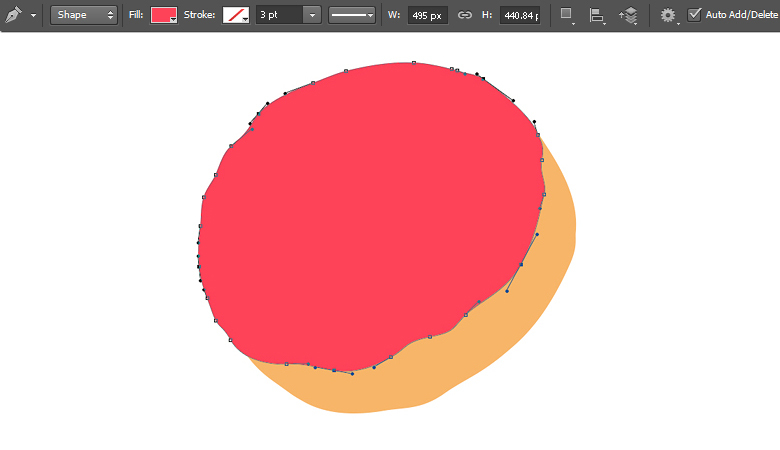 Next, we’ll give these shapes some volume through layer styling. 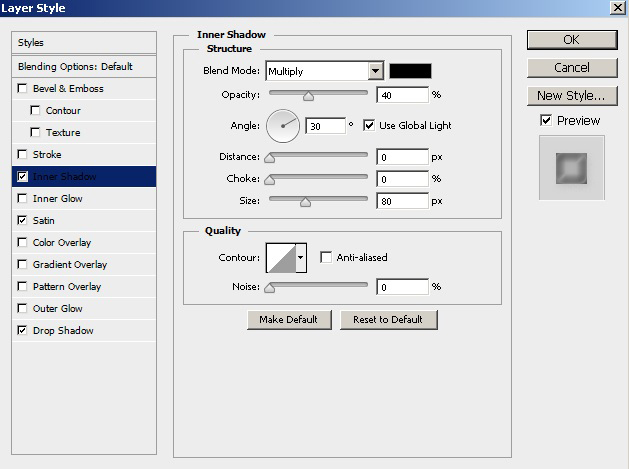 Double-click the “Base1” layer to open the layer style window and apply the following settings for inner shadow. 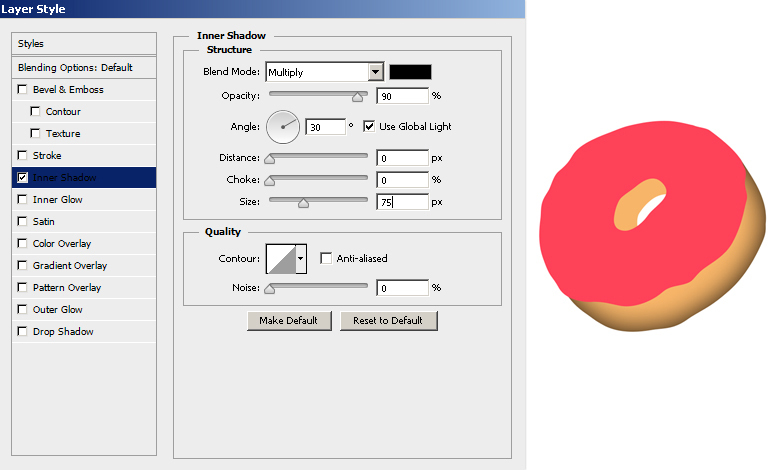 Double-click the icing layer and apply the following settings for inner shadow, satin, and drop shadow to get the same effect as mine. Now, we’ll add details to the base1 layer. Pick #ae7533 as your color and select a soft round brush. Press Ctrl + to make selection around it. 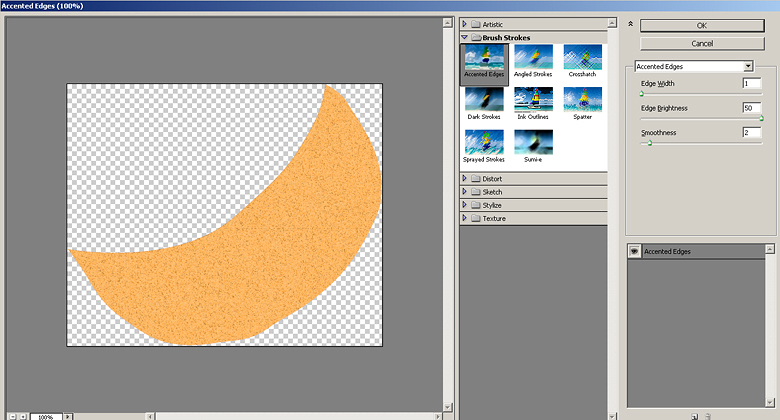 Now, create a new layer above it and apply the brush (30-40px size) roughly as shown below. The red area is where I used the brush. 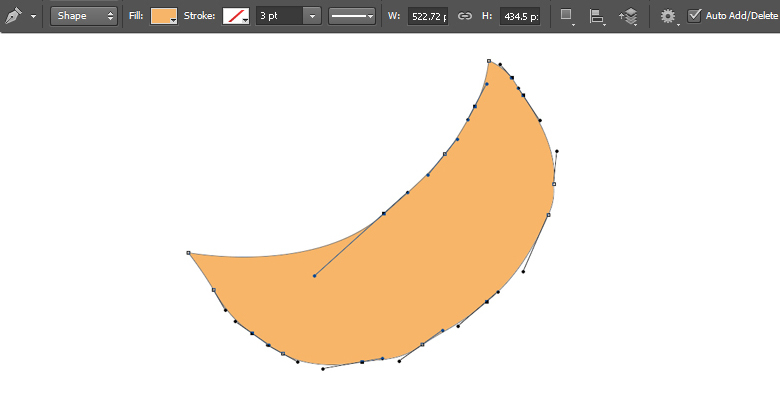 While the selection is still active, pick #cf8d42 as your color and draw an irregular line using a 15-20px soft round brush (60% opacity) on a new layer as shown below. Create a new layer and pick #fed8ac as your color. 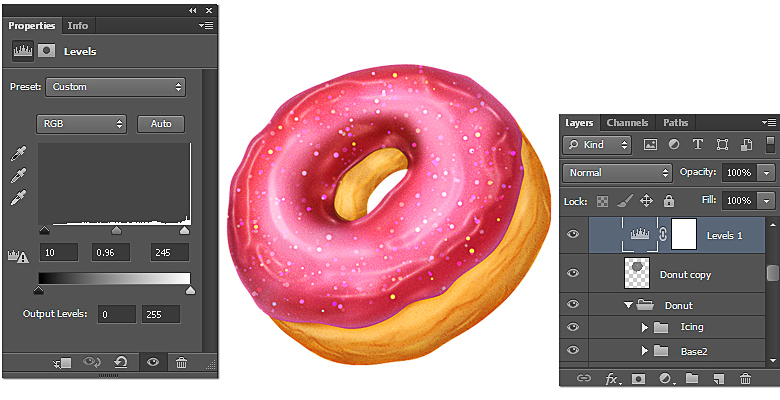 Apply a soft round brush (30-40px size) as shown below. Reduce the opacity of this layer to 50%. 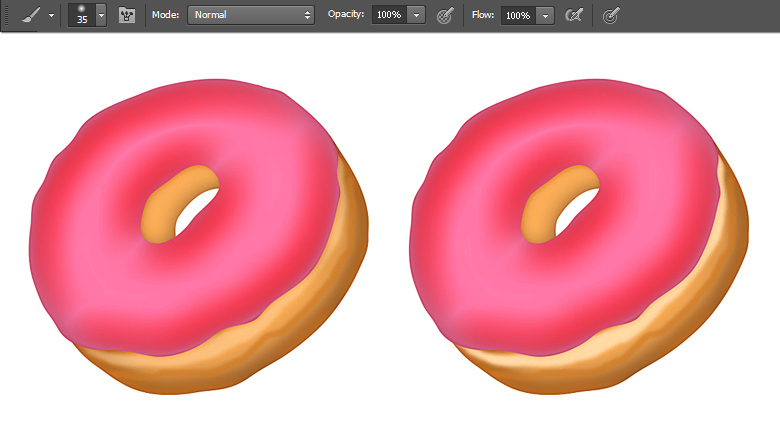 Now, pick a 1-2px soft round brush and make light and dark strokes randomly on a new layer. 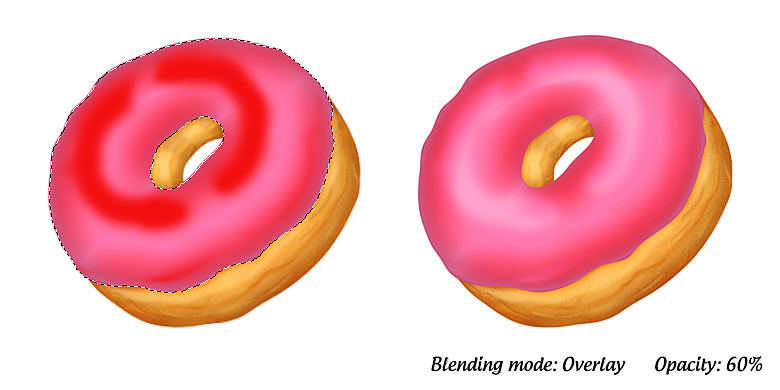 Pick the smudge tool (Strength: 15%) and apply it over these strokes to blend them together. Once you are done, reduce the opacity of strokes layer to 50%. While selection is still active, create a new layer and go to “Edit” > “Fill” > “Use 50% Gray”. Change its blending mode to “Overlay”. 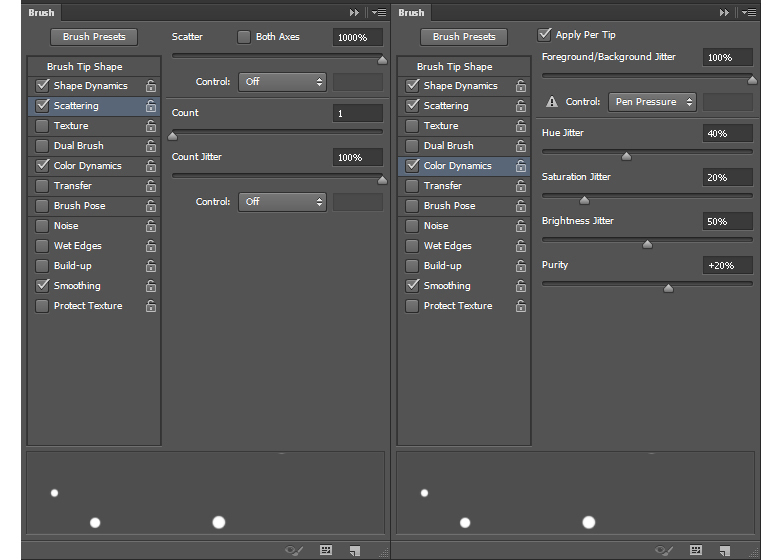 Select the burn tool and choose a soft round brush tool with a 40-50px size with Range: “Midtones” and Exposure: “20%”. Apply it over the edges. 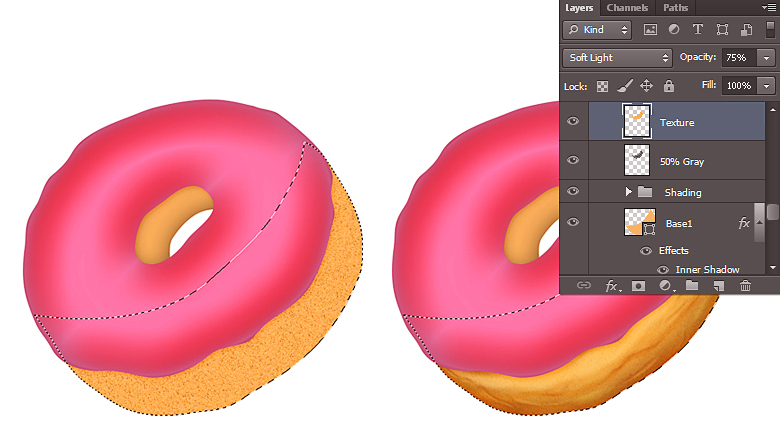 Now, pick a 2-3px size brush and apply the burn tool over the details created in step 9. After that, select the dodge tool with Range: “Midtones” and Exposure: “20%”. Apply the dodge over the details to highlight them. Next, we’ll apply texture over the base1. To make the texture, create a new layer and fill it with color #d19956. After that, go to “Filter” > “Noise”> “Add Noise” and use the following values here. 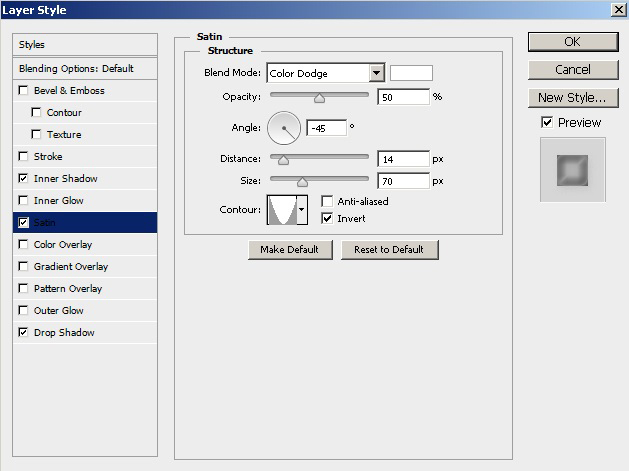 Now, go to “Filter” > “Filter Gallery” > “Brush Strokes” > “Accented Edges” and apply the following settings here. 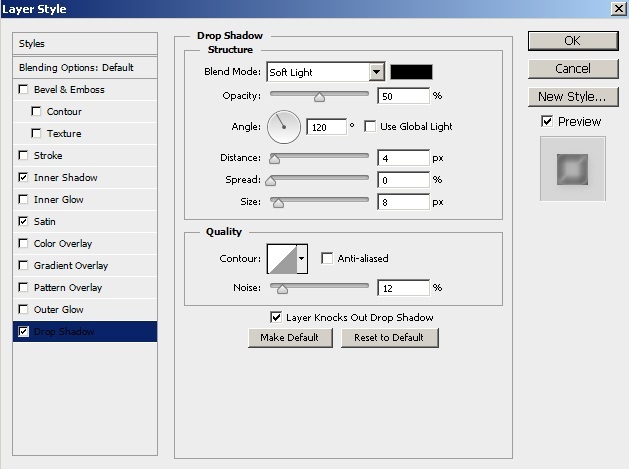 Change its blending mode to “Soft Light” and set a 75% opacity. Press Ctrl + to make selection around it. Now, use the same techniques explained in steps 8-11 to add details and texture to the “Base2” layer. Next, we’ll apply shading to the icing. Press Ctrl + to select it, pick #ffc0cc as your color, and select soft round brush (40-50px size). 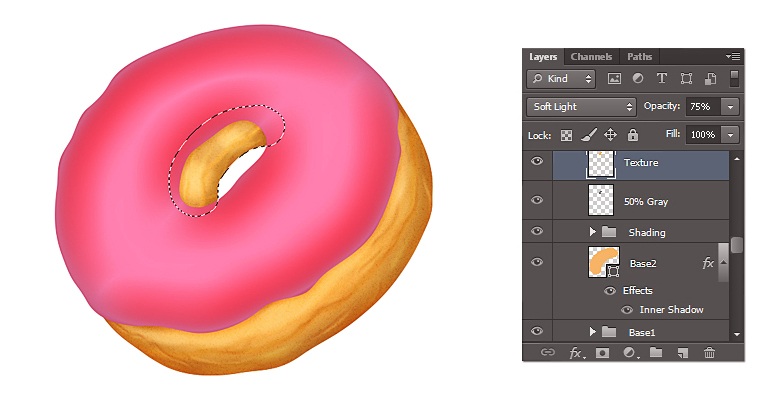 Now, apply this brush on a new layer to make highlights over the icing. 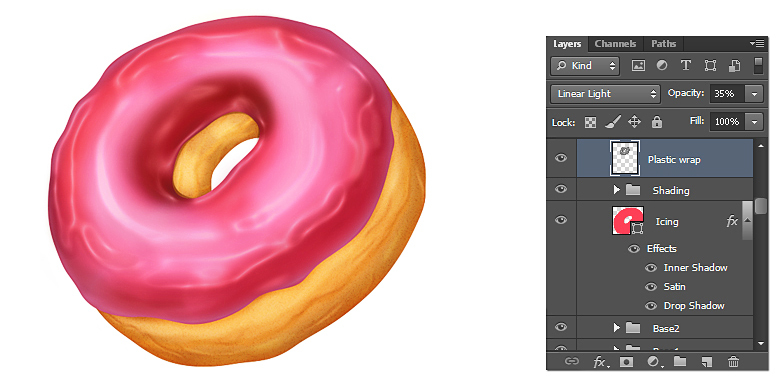 Pick #a33d41 as your color and apply some shading on a new layer using the soft round brush tool (Opacity: 50-60%). 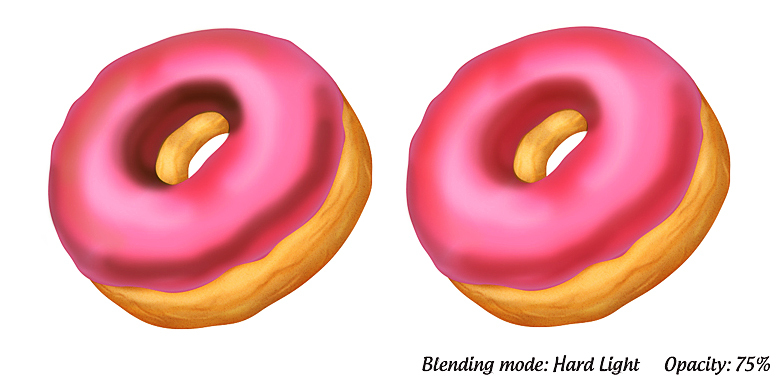 Once you are done, change the blending mode of this layer to “Hard Light” and set opacity to 75%. Now, create a new layer and fill it with “50% Gray” within the selection. Apply the burn and dodge tools to it using the same settings used in step 10. Pick red as your foreground and blue as your background color. 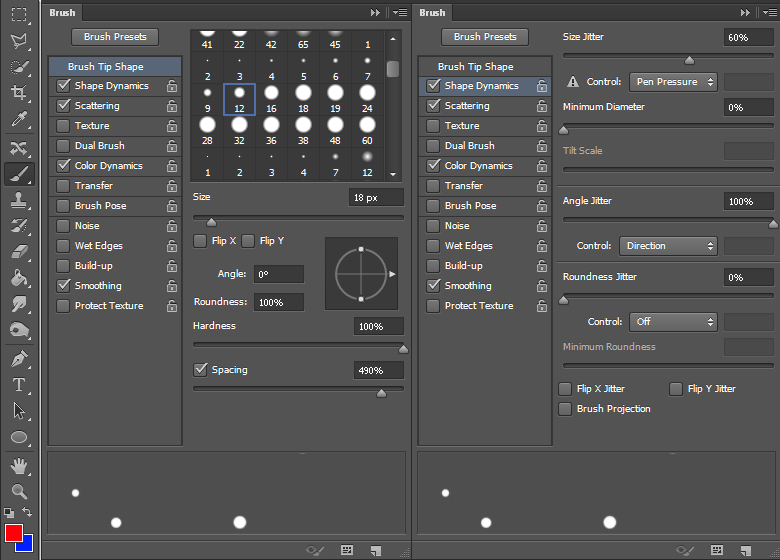 Select the brush tool and press “F5” to open the brush panel. Apply the following settings here. Now, apply this brush over a new layer and change its blending mode to “Linear Dodge”. Next, we’ll add some noise over the icing. Create a new layer, fill the selection with black, and go to “Filter” > “Noise” > “Add Noise”. Apply the following settings here. Change its blending mode to “Screen” and set opacity to 30%. 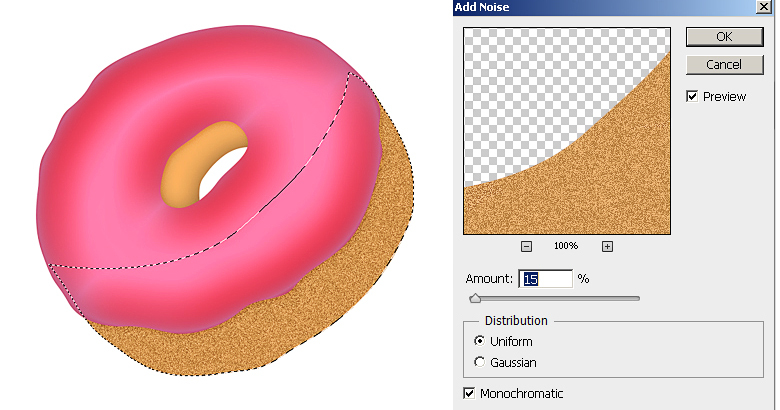 To sharpen the details, collect all of the layers forming donut in a single group, duplicate it, and merge it. Now, go to “Filter” > “Other” > “High Pass”. Use a 3px value here. 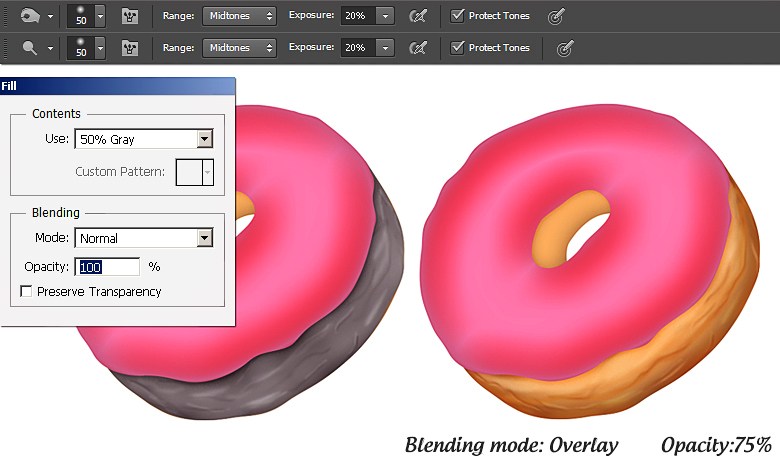 Change the blending mode of the high pass layer to “Overlay”. 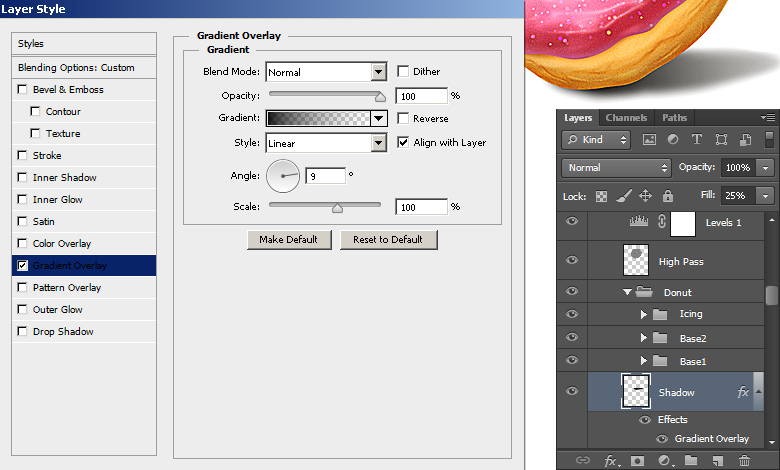 Click on the icon to “Create new fill or adjustment layer” found at the bottom of layers panel and choose “Levels”. Apply the following settings here. To make shadow, apply a large soft round brush on a new layer below the rest of the layers. 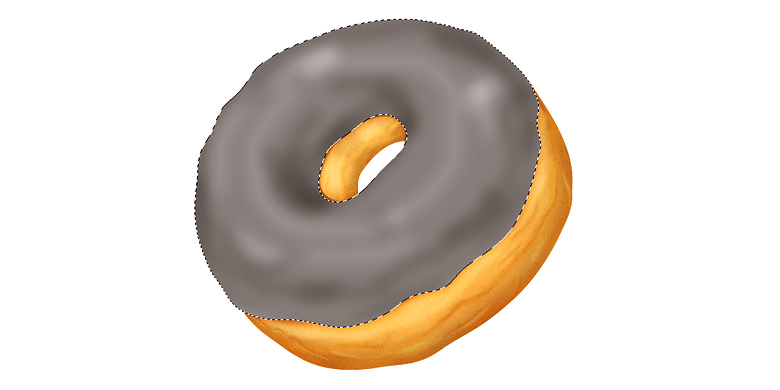 Now, smudge it using the smudge tool to get the result shown below. Reduce its opacity to 25% and apply a “Black to Transparent” gradient to it using the following settings. That’s it guys. I hope you had fun and learned some useful tips. 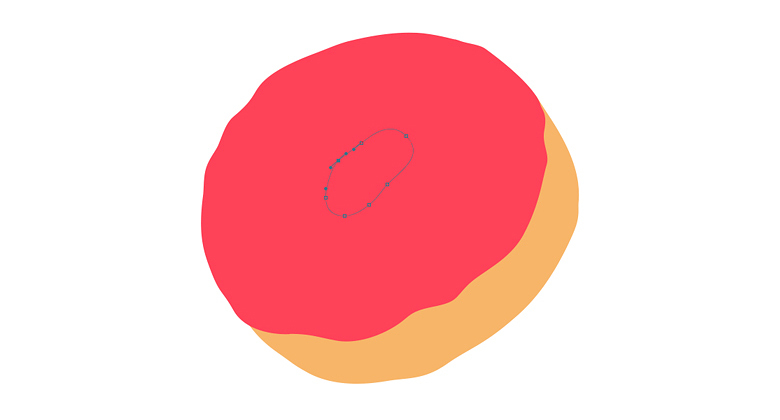 Enjoy your delicious donut.